I've been recently informed of a hidden gem in my hood which I've been too blind/distracted to notice. 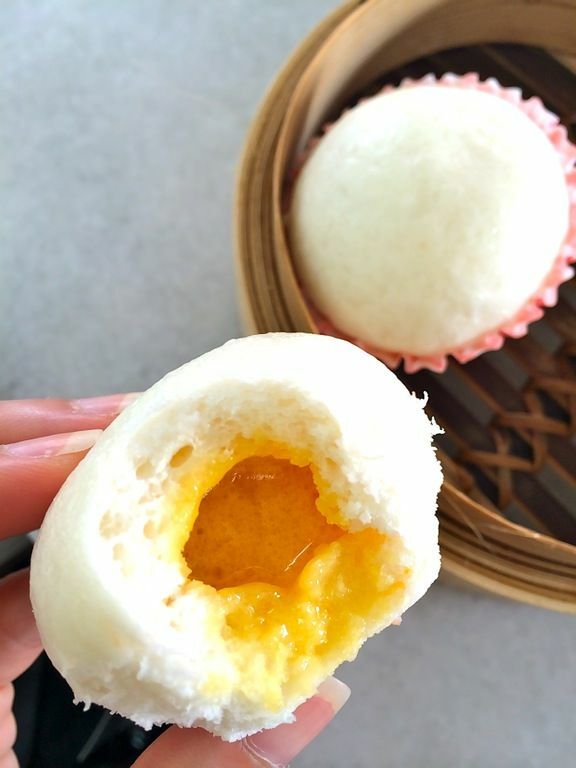 Yummy salted egg yolk steamed buns right under my nose? No way! 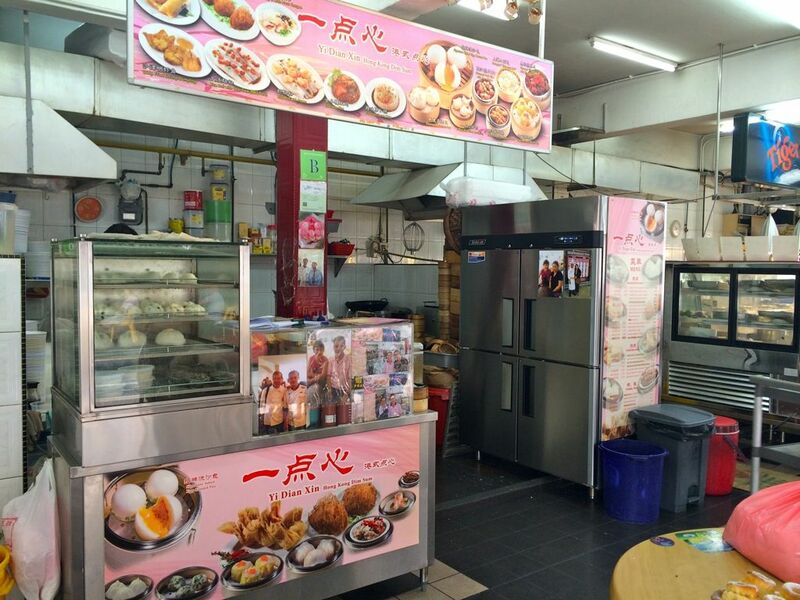 And located next to my dinner/supper haunt along Upper Serangoon Road, Heng Long Teochew porridge, you gotta be kidding me!! To correct all my wrongs, I trooped to Yi Dian Xin Hong Kong Dim Sum with my mama for a dimsum brunch. I've honestly never noticed Yi Dian Xin in the very same coffeeshop as Heng Long because it's overshadowed by the corner store. Well I only visit at night when they're closed so I guess that's how I've been missing this. Prices are very affordable with the most expensive item only costing $3.50. Rice Roll with Prawn ($3.50) uses pre-made rice rolls but the texture is QQ enough and the prawns flavorful. 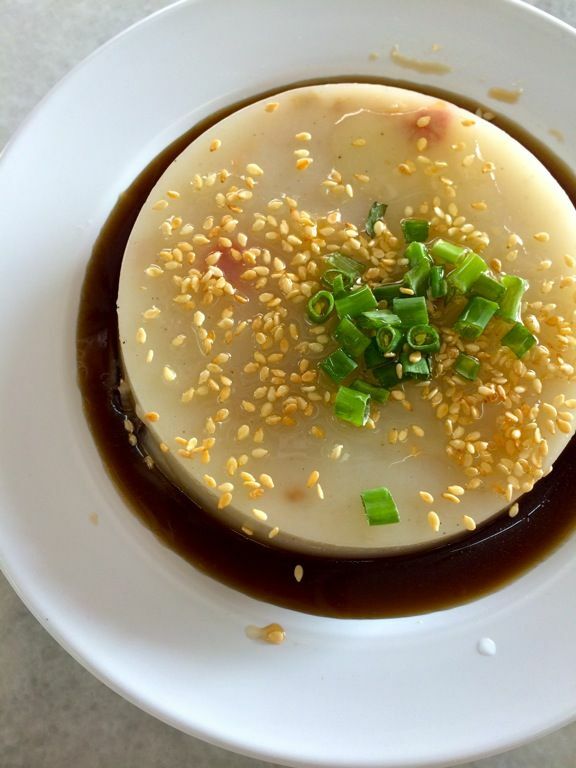 For the more traditional and freshly prepared Chee Cheong Fun, head to the Punggol Nasi Lemak coffeeshop down the road, there's another hidden gem that does this. I had to have their Signature Salted Egg Custard Pau ($3.30) as it was raved about. The bun was kinda dense but fluffy enough and the filling was well balanced with milky sweet and savory notes. I loved that it's really flowy! Eat it fast! While the custard doesn't really coagulate when cooled, the bun doesn't retain the same texture as when it was warm. 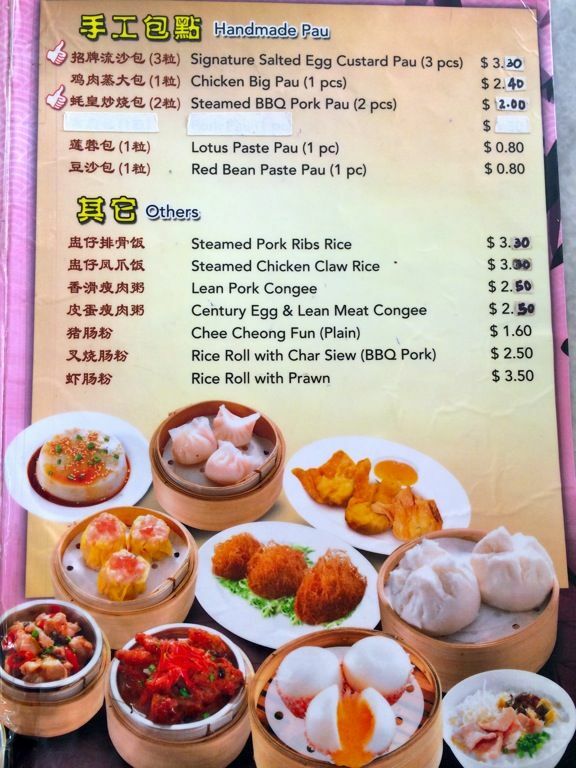 Another pau to order is the Steamed BBQ Pork Pau ($2 for 2) which looks like any other decent Cantonese dimsum restaurant types. Dark sauce, chunky meat, flowered buns. What's not to love? The Steamed Carrot Cake ($2.20) was another of my favorite. It's amazingly melt in your mouth with small chunks of radish and chinese preserved sausage. I'm usually more the pan-fried carrot cake girl but this won me over with the texture and that special soy sauce. I could easily finish the whole thing on my own. The Prawn Dumpling ($3.30) had a rather thick skin but the filling was adequate. Siew Mai with Mushrooms ($2.80) was packed with juicy pork meat that wasn't too fatty. I actually like this one. Steamed pork ribs with bean sauce ($2.50) comes in the regular small metal dish and was rather tender. I do like this dish but always found it overpriced at dimsum places. 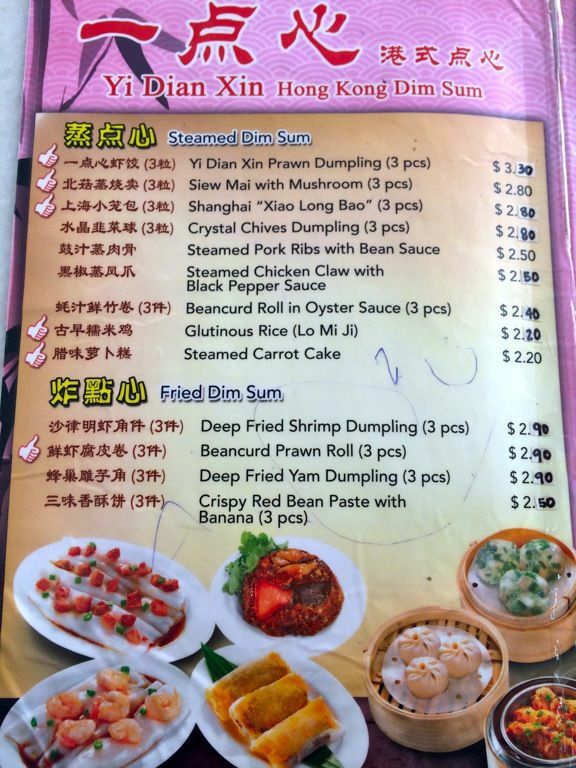 From the deep fried section, I'd go for the shrimp dumpling (sold out). My Mama liked the Deep Fried Red Bean Paste with Banana ($2.50) which featured a light filo skin with a slightly coarse paste. I thought it was on the sweet and oily side though. Well obviously not my generation's kind of dessert. Here's the menu for your reference. The ladies in my family headed down on a Public Holiday again but this time we were too late! At 1230pm, they were only left with 1/4 of their items! It was a bad day for us because many stores were closed and hence everyone decided to eat dimsum. 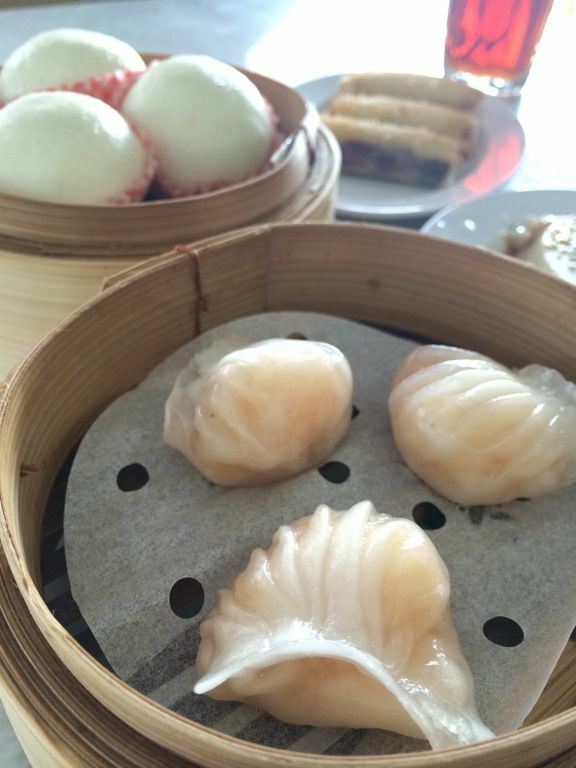 Heard from the owner that their dimsum typically sells out on weekend afternoons so do go early! So glad I found this place! 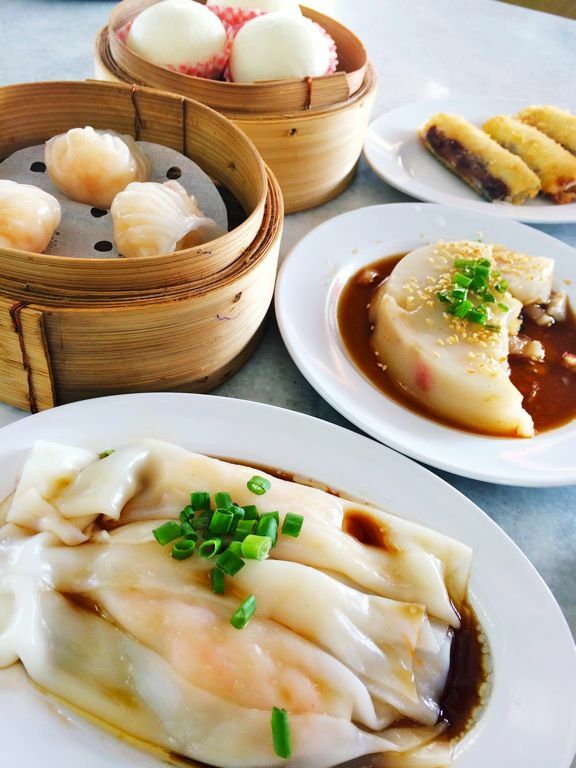 No need to travel down to chinatown for my favorite Tak Po when dimsum craving kicks in!